IBM’s third quarter release of Open Liberty 18.0.0.3 features full support for MicroProfile 2.0 and a focus on the MicroProfile Metrics API. 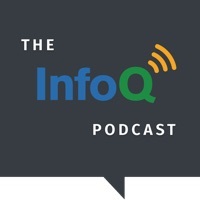 Alasdair Nottingham, WebSphere and Liberty runtime architect at IBM, spoke to InfoQ about this latest release. “I coined the term µServices four years ago defining them as services that always communicate within the same process, without any overhead, as a way to separate these lightweight services from the heavy, costly, and complex services people tended to think about because of the advent of Service Oriented Architectures (SOA)” Peter Kriens recently claimed. Yesterday at EclipseCon, Benjamin Cabé gave guided tour of the various Machine to Machine (m2m) projects at Eclipse. Read on to find out what's coming up in the near future for small and embedded devices running on OSGi platforms. Yesterday at EclipseCon, Kai Kreuzer gave a presentation of Eclipse SmartHome (nee OpenHAB), which is a server component for integrating in smart appliances and controlling them with a central Java service, built on top of OSGi and Eclipse Equinox. Read on to find out more about what it does and how it works. At EclipseCon Europe, Sascha Zelzer presented the C++ Micro Services project, which aims to bring an OSGi service layer to C++ programs, following a similar kind of API to the standard OSGi layer. Read on to find out more. Yesterday, the Eclipse Virgo project was given a last minute reprieve, as several people put their names forward to prevent Eclipse Virgo from being archived at Eclipse. InfoQ caught up with Glyn Normington, the ex-project lead, to find a bit more about its history and its future. The recently released OSGi 5 Compendium specification adds new APIs, such as Subsystems (for running partitioned applications in OSGi), a Repository and Resolver API and a means to interact with the Service Loader in Java. Read on to find out more.